What do you get when you take replace the attractive fur, leather upper, lacing system and stitching of the Baffin Chloe Boot with something else? Simple. You get the Baffin Snowcloud, a winter boot for women that is virtually identical to the Chloe except in its appearance and lacing system. Now, this can be good or bad, depending on viewpoint. Personally, my snobby cat and I both agree that the Chloe is a far more attractive boot. Everything just seems "right" on the Chloe, for lack of better words in the English language. Nothing is out of place, everything aligns, and it all comes together to create an attractive snow boot that still is rugged and warm enough for uses short of trekking to the South Pole or sun bathing on the summit of Denali. By contrast, the Snowclouds fur just "seems off" as it meanders around the lacing system of the boot. And the nylon upper (which covers the leather) gives the boot an appearance of something best used on the trail, not in the office or a night out on the town. To my admittedly warped mind, the Snowcloud looks like a cross between a hard-core snow boot which had the misfortune to have an unpleasant encounter with a furry creature along the highway. The lacing system of the Snowcloud, however, might be its saving grace. The Snowcloud is one of the few truly "easy on/easy off" boots in the mystifying world of snow boots. Instead of using boring shoe laces that are secured by boring knots that inevitably come untied while crossing the street in front of a bus, the lacing on the Snowcloud consists of drawstrings that are kept tight by small barrel locks. In terms of lacing simplicity, the Chloe still beats the Snowcloud since there's only one drawstring on each boot to lace, compared to multiple drawstrings on the Snowcloud. However, you do get more control over the lacing tightness of the boot with the Snowcloud (can tighten one lace, loosen another, etc...). With the Chloe, lacing is a true "one and done" system. Overall, in terms of tech specs, function and warmth, the Snowcloud is basically identical to the Chloe. Just the appearance and lacing system is different. And which one to choose is, at the end of the day, just a matter of preference. The Snowcloud boot is widely available online, as well as offline in stores located in northern climates. Online, my favorite footwear place, Zappos, generally stocks the entire collection of sizes and colors. Zappos provides free shipping on all orders as well as free return shipping, with a 365 day return policy. 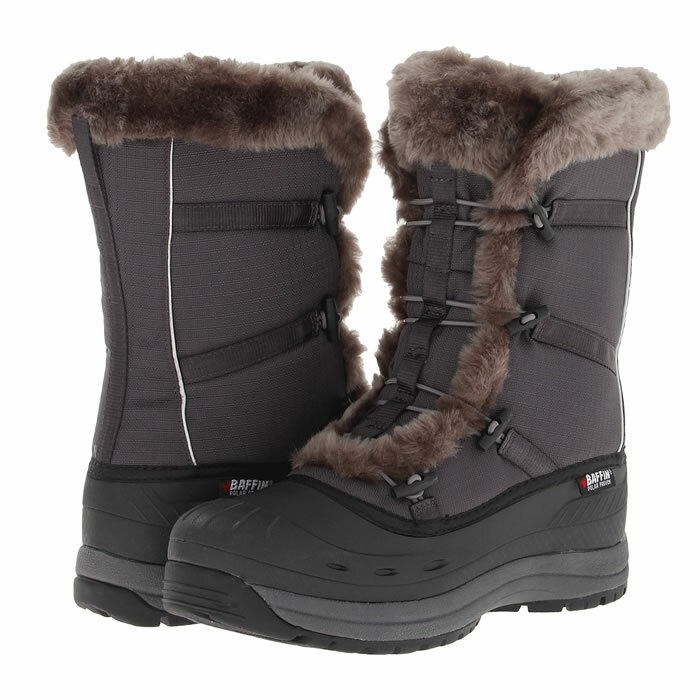 The Snowcloud is generally priced around $140, although Zappos often sells them for less. Other online retailers where the boot is often available include Amazon, REI, and Shoes.Com. Colors Available : The Snowcloud comes in various colors which change yearly. Sizes Available : 6 to 11, whole sizes. Semi-stylish, depending on personal preferences. Lighweight, at 1 lb 8 oz. Truly easy in and easy out snow boot.